Pixelloid is an award-winning 3D Animation and Visual Effects Company based in Hyderabad, India. Pixelloid offers its high-end Visual effects services to Films, TV Commercials, Corporate Films and Visualizations and is also the premiere destination for people interested in studying the art of visual effects. In 2005, the Company was started with a close-knit team of 10 creative and goal oriented individuals to push the boundaries of technology by providing cutting-edge 3D animation and visual effects solutions to Indian and international clients. Today, Pixelloid’s creative workforce has grown to about 120 people, equipped with high-end work stations and has opened academic branches in Karnataka (Bangalore) and Andhra Pradesh (Visakhapatnam & Guntur), with headquarters in Hyderabad. We also have a Liaison office in Vancouver (Canada) to support our international clients. Nayeem heads the Visual Effects Production division, managing the day-to-day challenges and taking care of all aspects of the division, including client relations and business strategies. He has played a key role in expansion of Pixelloid’s revenue and has lead Pixelloid to diversify into Film Restoration and Gaming. In team building aspect, he constantly guides and nurtures talented students by incorporating them into our visual effects production division through internship programs. He is also actively involved in opening up new avenues for Pixelloid in different markets, national and international. Raj’s role at Pixelloid includes creative visualization for film projects and IP content development. His fascination with technology keeps him updated on the latest trends and helps in the company’s adoption of new technology and future strategies. He also looks out for emerging avenues for the company to grow. 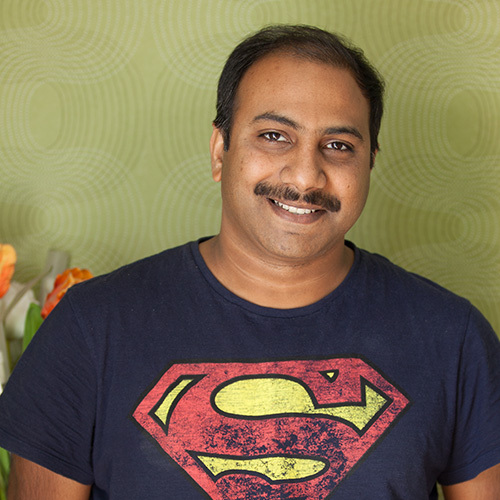 Raj has a Bachelor of Fine Arts in Photography, a degree in animation from Ngee Ann Polytechnic, Singapore and over nineteen years of experience in 3D animation and visual effects in India and New Zealand. Bala takes care of finance and administration of Pixelloid, including our branches. 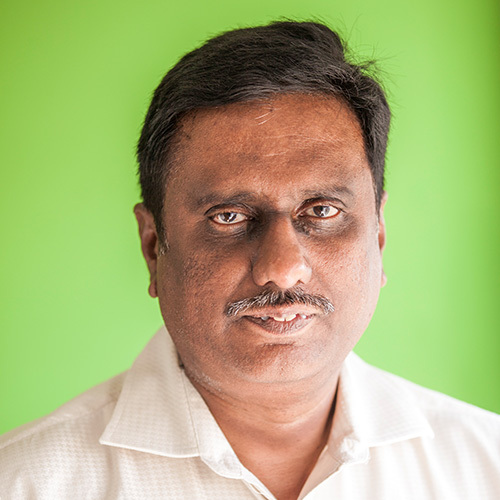 Bala also heads Corporate FIlms and any other Media Production within the company. He has previoudly run a television production company, DigiFrames, which produces telefilms, mega serials, AD Films & Documentaries for various Channels like ETV, Gemini TV, MAA TV and Zee Telugu. He also has an in-house Post-Production facility. His productions have won numerous awards like Nandi Award for Best Audiography for “Edhi Nijam” in 2004 (Gemini TV), Nandi Aaward for Best Mega Serial “Edhi Nijam” in 2005 (Gemini TV), Nandi Award for Best Telefilm “Mounamelanoyi” in 2006 (Zee Telugu) and Nandi Award for Best Visual Effects for “Srushti” in 2008 (SVBC). Started his career in 1998, Chandrasekhar has worked on projects like like Lord of the Rings and has also helped Pixelloid win the prestigious Nandi Award for Best Visual Effects in a feature film. He has also groomed innumerable talented students with his vast experience and knowledge, who are now placed in top positions in some of the best companies around the world. He takes care of all the aspects of the education division, right from induction into a program to the successful placement of a student. 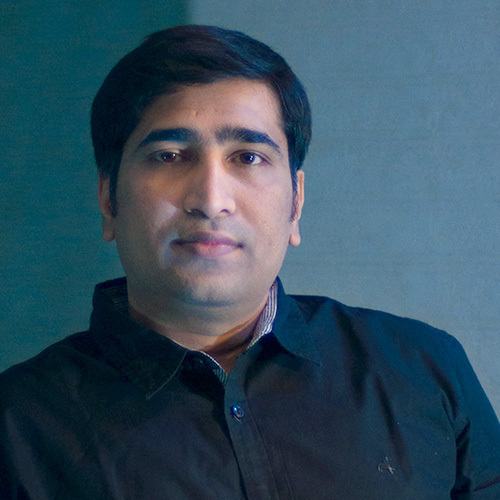 Pixelloid stands as one of the best educational institutes for 3D Animation & Visual effects due to his diligent efforts. He has over 19 years of experience in the visual effects industry. Rama Rao Kuchi has over 17 years of experience in the visual effects industry and is the head of our compositing department. He takes care of our entire compositing division, from analysing shots, assigning them to the right people, troubleshooting issues in the pipeline and final quality check. He has been with us since the inception of the company and has been a great pillar of strength on which the company thrived. His portfolio includes well-known domestic and Hollywood films. He also acts as a senior faculty in our education division, thereby helping us spot potential talent and also mentoring them to be production ready by the time they graduate. Having over 12 years of experience in CG & VFX industry, Ajay is the VFX Lead in the Visual Effects Production division, spearheading innovative technologies, methodologies and also troubleshoots complicated VFX sequences. He also mentors young talent in the VFX department and our VFX School. His talent and innovative approaches helped Pixelloid become what it is now, a multiple award winning studio known for its quality. "They are just too perfect. The work they have done on my all films was splendid. A super reliable team." "Transferring visual ideas on to the big screen is a challenge faced by film-makers all over the world. There is no place that can carry out this transformation more effectively than Pixelloid." "Pixelloid is one place in the film industry where you will find quality, professionalism and warmth all under one roof." "Pixelloid caters to the needs of every film-maker with a distinct, refreshing style. It is studios like this that will help catapult our industry into the big league." Founder / Visual Effects Supervisor Having started his career as an Animator, he has over 18 years of industry experience as Visual Effects Supervisor & Producer. 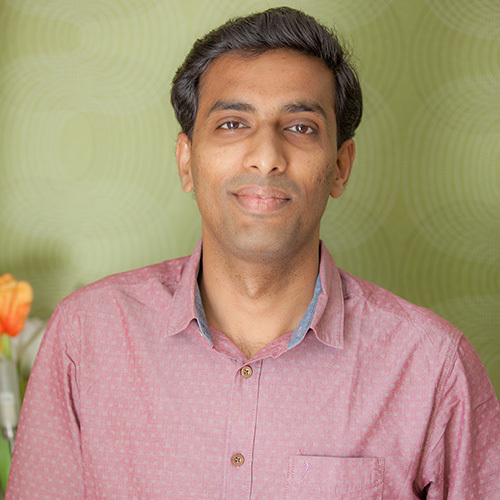 Nayeem heads the Visual Effects Production division, managing the day-to-day challenges and taking care of all aspects of the division, including client relations and business strategies. He has played a key role in expansion of Pixelloid’s revenue and has lead Pixelloid to diversify into Film Restoration and Gaming. In team building aspect, he constantly guides and nurtures talented students by incorporating them into our visual effects production division through internship programs. He is also actively involved in opening up new avenues for Pixelloid in different markets, national and international. Founder / Creative Director Raj’s role at Pixelloid includes creative visualization for film projects and IP content development. His fascination with technology keeps him updated on the latest trends and helps in the company’s adoption of new technology and future strategies. He also looks out for emerging avenues for the company to grow. Raj has a Bachelor of Fine Arts in Photography, a degree in animation from Ngee Ann Polytechnic, Singapore and over nineteen years of experience in 3D animation and visual effects in India and New Zealand. Founder / Finance & Executive Producer (Corporate Films and IP) Bala takes care of finance and administration of Pixelloid, including our branches. Bala also heads Corporate FIlms and any other Media Production within the company. He has previoudly run a television production company, DigiFrames, which produces telefilms, mega serials, AD Films & Documentaries for various Channels like ETV, Gemini TV, MAA TV and Zee Telugu. He also has an in-house Post-Production facility. His productions have won numerous awards like Nandi Award for Best Audiography for “Edhi Nijam” in 2004 (Gemini TV), Nandi Aaward for Best Mega Serial “Edhi Nijam” in 2005 (Gemini TV), Nandi Award for Best Telefilm “Mounamelanoyi” in 2006 (Zee Telugu) and Nandi Award for Best Visual Effects for “Srushti” in 2008 (SVBC). 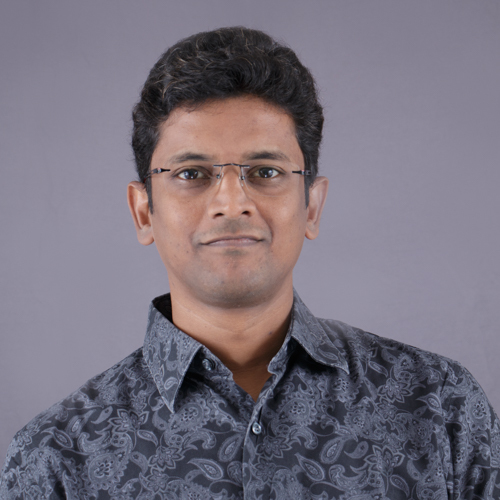 Education Head Started his career in 1998, Chandrasekhar has worked on projects like like Lord of the Rings and has also helped Pixelloid win the prestigious Nandi Award for Best Visual Effects in a feature film. He has also groomed innumerable talented students with his vast experience and knowledge, who are now placed in top positions in some of the best companies around the world. He takes care of all the aspects of the education division, right from induction into a program to the successful placement of a student. Pixelloid stands as one of the best educational institutes for 3D Animation & Visual effects due to his diligent efforts. He has over 19 years of experience in the visual effects industry. 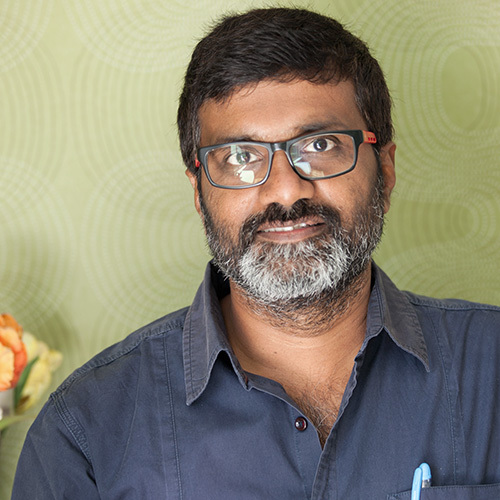 Compositing Head Rama Rao Kuchi has over 17 years of experience in the visual effects industry and is the head of our compositing department. He takes care of our entire compositing division, from analysing shots, assigning them to the right people, troubleshooting issues in the pipeline and final quality check. He has been with us since the inception of the company and has been a great pillar of strength on which the company thrived. His portfolio includes well-known domestic and Hollywood films. He also acts as a senior faculty in our education division, thereby helping us spot potential talent and also mentoring them to be production ready by the time they graduate. 3D Head Having over 12 years of experience in CG & VFX industry, Ajay is the VFX Lead in the Visual Effects Production division, spearheading innovative technologies, methodologies and also troubleshoots complicated VFX sequences. He also mentors young talent in the VFX department and our VFX School. His talent and innovative approaches helped Pixelloid become what it is now, a multiple award winning studio known for its quality. "Transferring visual ideas on to the big screen is a challenge faced by film-makers all over the world. There is no place that can carry out this transformation more effectively than Pixelloid. " "Pixelloid caters to the needs of every film-maker with a distinct, refreshing style. It is studios like this that will help catapult our industry into the big league"